After earning Engineering and MBA degrees at the University of Wisconsin, Mike Noling joined Accenture (formerly Andersen Consulting) and became a managing partner with responsibility for the Western US consulting practice. In Santa Barbara Mike was President and CEO of Wavefront Technologies, a leading graphic software public company. He has used his experience to assist a dozen area businesses as a Board member. Mike is a past President of the Santa Barbara Region Chamber of Commerce, and has been a member of the Community Environmental Council (CEC) Board and Committees for a dozen years. He is a long-time Board member of the United Way of Santa Barbara County. Betty Noling graduated from the University of Wisconsin with a BS degree in Sociology. In Milwaukee she took all course work for a Master in Reading Instruction and was a high school teacher of social studies. After moving to Calabasas, CA, she served on the Las Virgenes Board of Education for 8 years, and was a journalist for local papers - the Las Virgenes Enterprise and the Malibu Times. She was a volunteer monitoring the many development projects and worked to incorporate Calabasas. In Santa Barbara she was on the Board of CASA (Court Appointed Special Advocates) for 10 years, serving as President for 3 years. She was also a CASA volunteer for 3 foster children under Court protection. She was on the Board of Channelkeeper, and environmental group whose mission is to protect and restore clean water in the SB Channel and Watersheds. She is a founding member of United Way's Women United group, which mobilizes a powerful leadership network of women to strengthen the Santa Barbara community through a focused investment of talent, compassion, and philanthropy. Betty and Mike have raised three children and have 8 grandchildren. 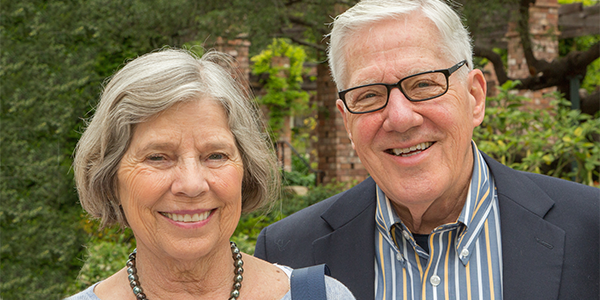 The Nolings are long-time supporters of United Way as volunteers, advocates and donors. Mike describes the couple's multi-faceted involvement with United Way as "a labor of love". They have been actively engaged with United Way of Santa Barbara County since 1996. They became Heritage Club members in 2004, after notifying United Way of Santa Barbara County about their provision to leave a legacy to United Way in their estate plans.